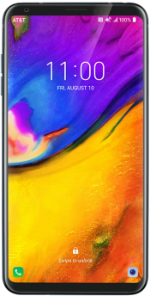 The LG V35 ThinQ is a device with a 6-inch QHD+ OLED display with 2880x1440 resolution. 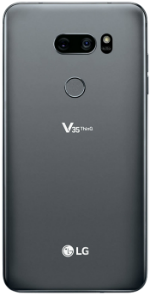 The phone is powered by a 2.8GHz Octa-Core Qualcomm Snapdragon 845 processor with 6GB of RAM and 64GB internal storage. There is a microSD card slot for up to 2000GB memory expansion. The device has a dual-camera configuration on the back with a couple of 16-megapixel sensors and 4K video recording. In front, there is an 8-megapixel camera for selfies and video calls. It includes a 3300mAh non-removable battery, a fingerprint sensor, NFC, and IP68 dust and water resistance. The phone runs on Android 8.0 Oreo upon release with LG UX 7.0 on top of it. Colors available include Aurora Black and Platinum Grey.